If you have searched the web to find out if Citadel LTD and Dr Kent Grifly are legit or scam, you will be shocked to hear this alarming update. After being contacted by a staggering number of traders inquiring about the Rootkit Virus after downloading the automated trading software, it is quite evident that Citadel LTD AKA Citidel is a nasty malware and phishing scam designed to steal your personal information. Traders have recently complained about their Email being stolen, credit cards over charged by shady and unregulated binary options brokers located offshore, and overly aggressive sales reps with a heavy Indian and Russian accent tactlessly pursuing them by phone, Email, and most recently through the Postal office offering them CD’s with infected software to download. I went to the University of Iowa website since that is where this good Dr is supposed to be employed at as a member of the faculty, and guess what? The person does not exist, and I even tried repeating the search after intentionally misspelling his name just to make sure. Now, above you see a fake review site which is very aggressively promoting this obvious scam without any fear or retribution or possible jail time. This is a complete fabrication of the truth, and the surprising thing is that it’s very easy to check however most people won’t go to the trouble of doing the proper research since they are too busy living their lives and working from one paycheck to the next. Why Are Binary Options Signals and Automated Trading Bots so Popular? Well, the ease of use coupled with potentially high profits is something which is extremely difficult to overlook these days, especially when market volatility is high due to the Chinese Recession, Lower European buying power partially triggered by immigration issues, and Oil price reduction due to Middle East Geo-political strife between Saudi Arabia and Iran. People are looking for alternative ways to invest and profit, and binary options seem very appealing to the naked eye, so in reality potential investors have become de facto investment scam victims that are exploited by savvy marketers. It’s interesting that there is a massive increase in these schemes and some of the more popular ones are Insured Profits, The Free Money System by Walter Green, Centument LTD, Mockingbird Method, Binary Matrix Pro, Oz Robot, Coffee Cash Cheat, Channel Ranger and Megaprofix. 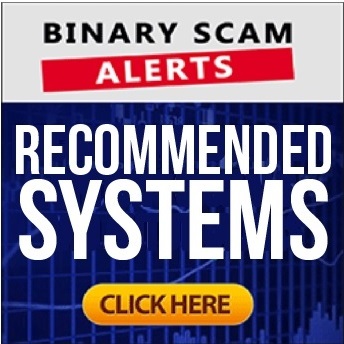 This is a very partial yet respectable list of bogus offers that have been heavily promoted in binary options. Our recommended signals and automated trading tools are very few and with good reason. We will only recommend Virtnext and the binary profit method which is a totally transparent signals tool that let’s you choose your broker and level of risk. Stay away from the Citadel LTD automated software app since it will inject your computer with a Rootkit virus and illegally steal all your credit card information. If you have invested with a broker through this software and found yourself losing money quickly, getting overcharged all of the sudden, getting spammed with unrelated offers, or even getting a frightening call from your bank telling you your credit card is now blocked, please contact me by leaving a message below and our staff will try to assist you in recovering your funds.